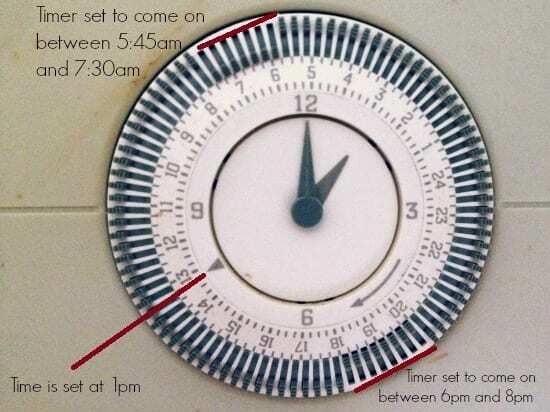 I’ve written about setting the timer on your boiler in the past, but the other day it dawned on me: what if you don’t know how to set a timer? Here’s a link to the video if you can’t see it – here. First, ignore all the little tabs for now, and set the clock to the right time. You do this by turning the dial round clockwise until the arrow points to the correct time in the outer portion of the dial. It’s important to bear in mind that boilers work on the 24 hour clock so make sure you’ve set it to 24 hour clock time, otherwise your heating will come out at odd hours of the night! If it’s 1:30pm (13:30 in 24 hour clock speak) then you want the arrow to be halfway between 13 and 14. 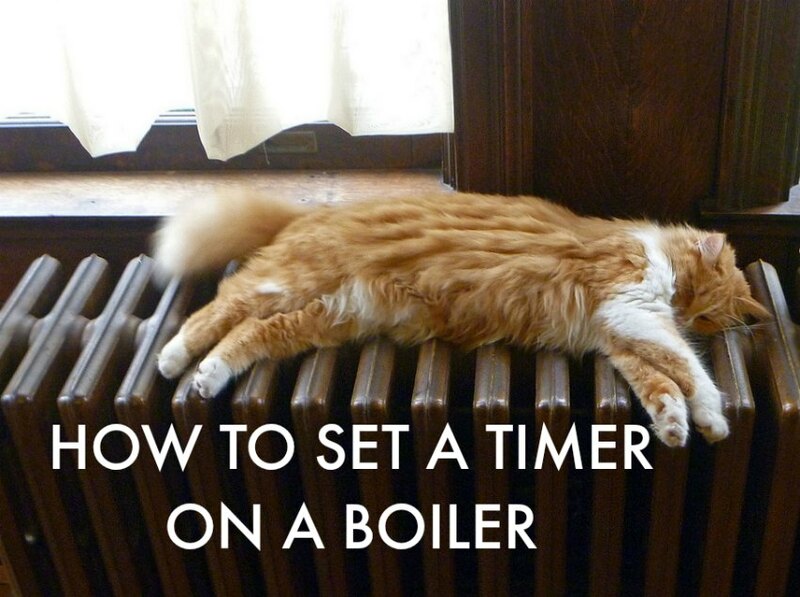 Once the time is set, you can now set the times that you would like your heating to come on and go off at. This is where the little tabs come in. These tabs aren’t as confusing as they look: they just represent a 15 minute period of time, and are pushed in to select when you want the boiler to turn on. You’ll notice that each tab lines up with each 15 minute segment of the 24 hour clock. So to tell your boiler that you want your heating to come on between 6:30am and 8am, you are going to want to push in all of the tabs that represent that time – so you should have all 6 consecutive tabs pushed down between 6:30am and 8am. All of the other tabs should be up. It’s quite easy to accidentally twist the dial and change the time when you’re adjusting the tabs, so you may have to readjust the time at this stage! Here’s my boiler timer. The time is currently 1pm so the arrow points to 1pm, and the timer is set to come on twice in a day – between 5:45am and 7:30am (we are early birds!) and between 6pm and 8pm. If you look closely you’ll notice the tabs are down at these times, and all of the other tabs are up. Now all you have to do is turn the switch that you would normally switch the boiler on with to point to the picture of a clock or stopwatch (depending on your boiler – mine’s a stopwatch) and your boiler should now come on at the desired times! Some tips on setting your boiler: it typically takes about half an hour for a house to warm up once you’ve switched your boiler on, and around half an hour to cool down again once it’s switched off. So with that in mind, if you get up at 7:30am and leave the house at 8.30am, it’s most energy efficient and comfortable for you if you set your timer to come on at 7am and off at 8am. ps: you can find lots of energy saving tips here, if you’re looking to save money on your heating bills!